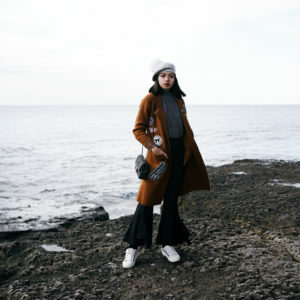 Fashion has been reviving the 90s fashion trends recently. 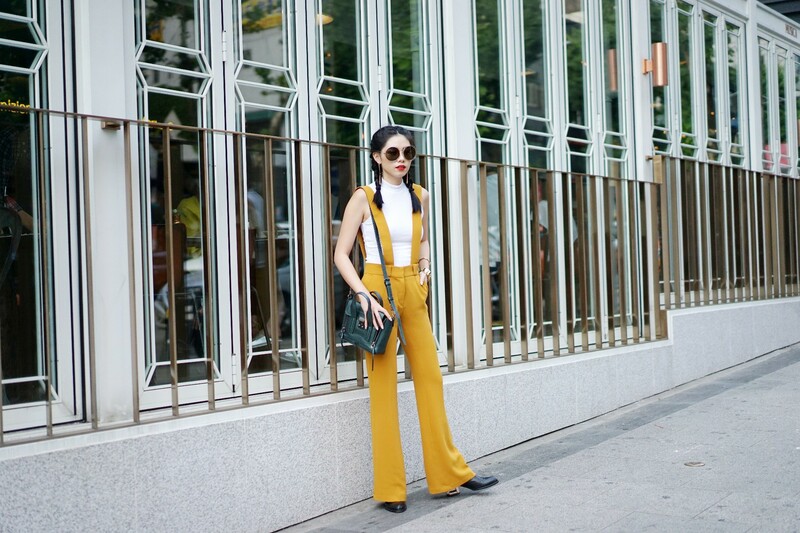 As a 90s kid myself, I didn’t think twice about choosing this fall-coloured pants with suspenders. If you’ve been guessing for quite some time, this is the kind of outfit that I would wear for weekend hangouts. On the other side, the thing about this pants is that it is super stylish and a little bit between casual and formal at the same time, so I really think it will be a perfect companion for formal meetings as well. 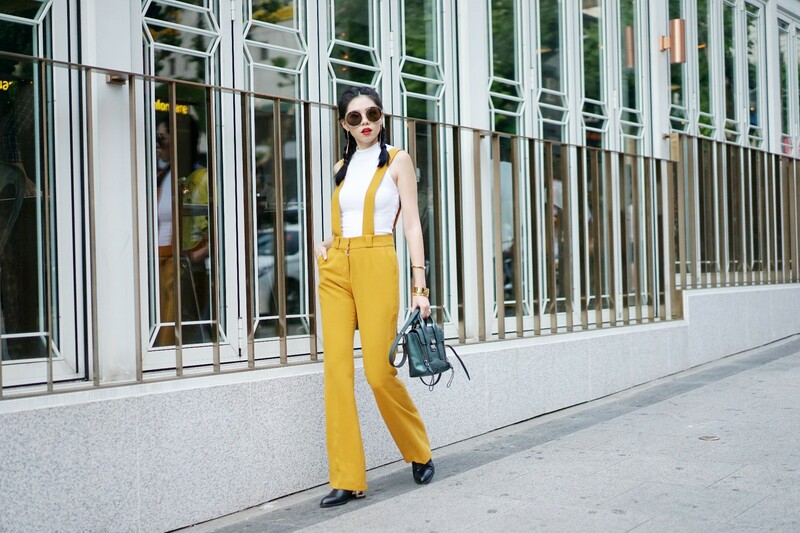 This piece of pants can be paired with basically any tops like sweater and t-shirts. Today I paired it up with white sleeveless top. To emphasize on the 90s vibe, I put on some red lips and a pair of retro sunglasses. Anyway, you can take a closer look to my pair of pants right here at CÄLLA Atelier. 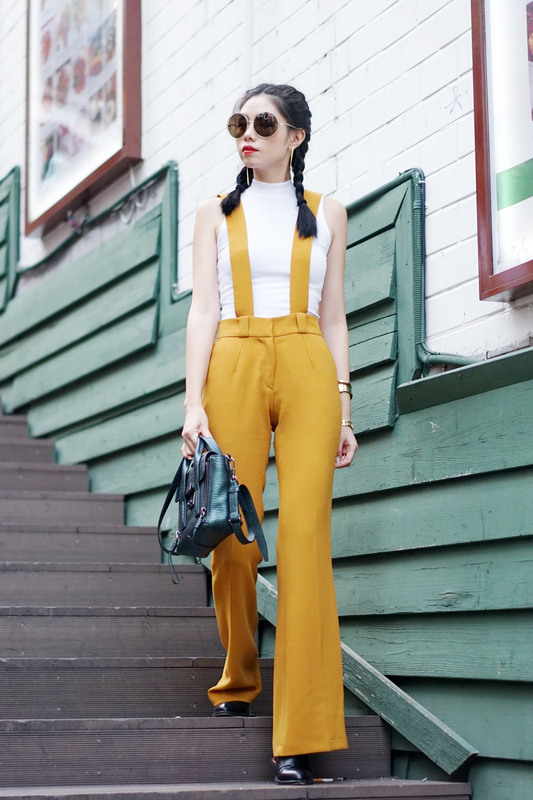 totally love your take on the 90’s dressing! may i know what type of cam + lens do you use? The 90’s were a wonderful time in life, especially for music. It doesn’t surprise me much that 90’s fashion trends have been reviving. One thing I love about trendspotting is when people take the trend and put their own individual spin on it.